Well… perhaps not so great, but it is helping me cut down on the clutter around here. I know I promised an update Tuesday night, but here’s the thing: living as an almost hermit, it seems like if I go out and meet anyone at all, even half a dozen people, I catch SOMETHING. Also this still being my house and my family, we’re… in a perpetual state of chaos. I have found some of Night Shifters (which honestly is not my main cache, which I’d guess is still in boxes.) 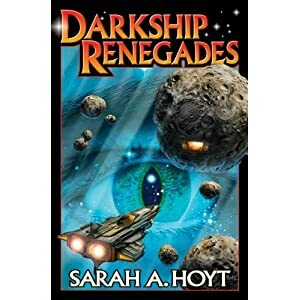 I also found some of Darkship Renegades, which I thought I was out of. Which is an omnibus consisting of Draw One In The Dark and Gentleman Takes a Chance. Mass Market Paperback, but THICK. Price above. Gentleman Takes a Chance, the second of the Shifter’s books. Hard cover (tpb price). Third of the Shifter’s Series. Trade Paper Back. 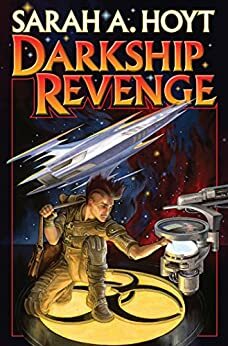 First of the Darkship Books. Prometheus Award Winner. Trade Paperback. 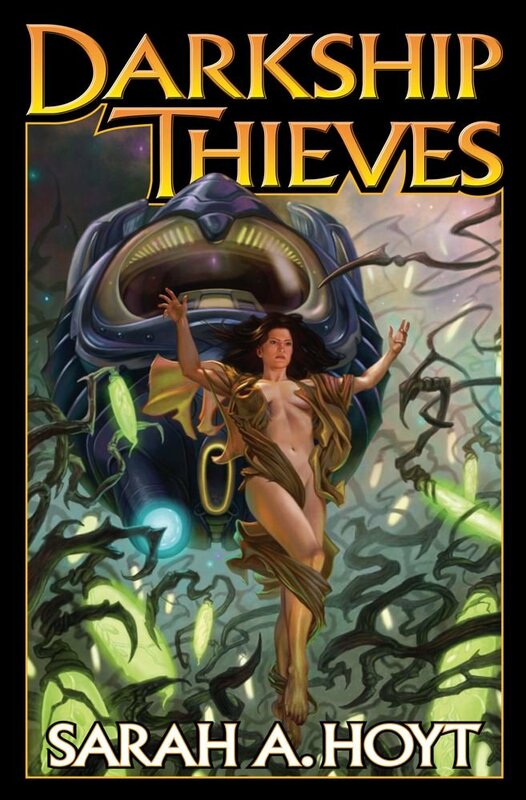 Second of the Darkship books, trade paperback. Fourth in the Darkship Saga, second in subseries on Earth revolution. Trade paperback. Fifth in Darkship Thieves saga. Trade Paper Back. I have a couple TPBs of Witchfinder, let’s call that $17 just because it’s heavy and thick. So, that’s A French Polished Murder and a Fatal Stain. I probably have mass markets of the entire DST series, but only ones I’ve found so far is for Darkship Renegades and A Few Good Men. I have hard cover, Ace edition All Night Awake (Second of the Shakespeare books.) I MIGHT have the rest of that series, but it will take ransaking the pile of 40 boxes. So… might or might not happen in the next few days. So, real post later, but for now this is the ongoing sale stuff. BEFORE YOU SEND ME ANY MONEY, EMAIL ME AT GOLDPORT PRESS AT GMAIL DOT COM. 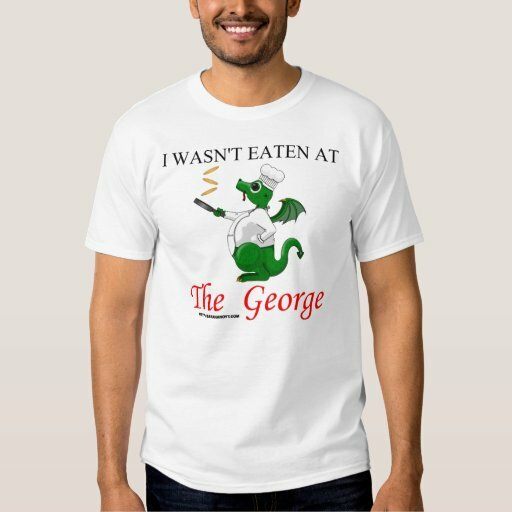 Because some of these are limited, and I get a dozen orders in, and the last people will get nothing. 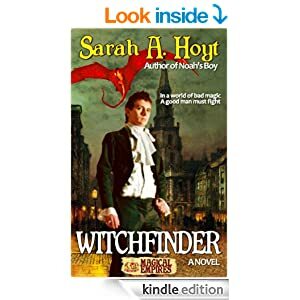 Calling dibs on a Witchfinder, A Few Good Men, one each of the Dyce Dare books. Now that that’s out of the way, how should I tell you what I want officially? And I’m assuming something PayPal-ish? Oh, good Lord, before sending money, email me at goldportpress AT gmail dot com. Oh, don’t go to extra effort. I’m interested enough to buy one, but not passionately desperate about it. As you know I’ve sworn off dead tree for the most part. Are there any of your books that are not available as an e-book? Doing my level best to drag you kicking and screaming over to the indie side. Not right now. And no need to drag me, Uncle Lar. I’m done with trad. I have, too – but for a signed one, I break my vow. (Hopefully, I got in in time for the refinishing mysteries.) Soon as I get the go-ahead, I’ll be happy to send some extra on shipping, too (or are they TPBs, I don’t remember…). Plus an extra fin for a bookplate to put on the first one. Tomorrow night, that is – looks like I have just enough left until then for a candy bar at current prices. At least the son’s car is finally settled. It is not unusual for someone recovering from chronic illnesses to get sick. If nothing else, your body is suddenly better able to sustain other lifeforms! Do not apologize; just let us know, like you are doing. You know, if we were really concerned about being in line with international incarceration norms, we would imprison more journalists. I better make a list and check it twice before emailing Sarah. Ah the ‘joys’ of communicable infections, aggravated by climate-induced concentration of population. One guy out at work, for sure. Another probable. And I just got over something from last month. I look forward to enjoying a proper meal rather than a diet of alternating zinc and vitamin C.
This is really funny. Quite a bit annoying. And makes it super obvious that *her* line is not expressing a desire to leave. Sigh. As Stephen “Vodkapundit” Green makes clear — Baby, It’s Hot in Here — a song written for the Greatest Generation has been rejected by the Egregious Generation. There are numerous versions of this wherein the roles are reversed, with the song remaining (or even becoming increasingly) funny. Examples to follow. Given the established character for Miss P this was a natural interpretation. She may be Gaga but she’s apparently no lady. … but that B&N is a den of Evil. so you’re free to not visualize it in your mind’s eye. The rejection of this song is part of the Progressives’ attack on the basic idea that a woman ought defend her honor, that men should not pursue women nor express any interest in them. Elements of seduction, of flirtation, of judgement, all are discarded in a universe of Tinder and sexbots. I await the trauma expressed when a transsexual duo performs this song, possibly even reversing roles after the second bridge. 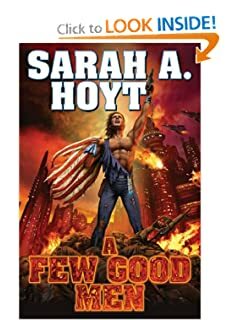 Sarah, as much as I would love to buy more of your books a quick review proves I already own all of these. If you turn up any of the Shakespeare books I would be delighted to buy them, but I cannot justify adding duplicate books to the library as the ceiling underneath is already bowing from the current load. We are (contractor willing!) in the process of various home improvements which are scheduled to include a storage loft in the garage, where the 18-foot ceiling an appalling squandering of enclosed space and, happily, offers an opportunity t install trusses under the library floor. If all plans achieve their intended ends I will certainly be able to consider duplicate books. Lol! RES, snickering at your ceiling problems, but not surprised, as I’ve been in your house! Glad you’ve got a plan! Hope there’s progress to ogle this summer!